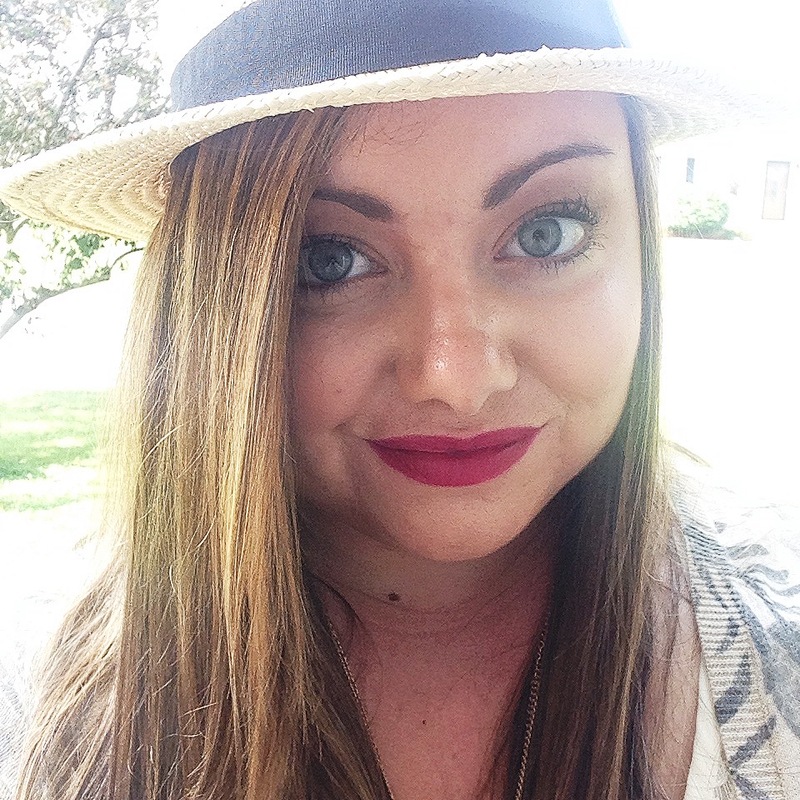 Makeup Reviews Thanks To Influenster! Happy Tuesday! To me, Tuesdays are the worst. On Mondays you are well rested after the weekend, then Tuesday rolls around and you are tired again and the weekend just seems far away. BUT I decided to turn my Tuesday into a great day by trying out a new lipstick (which I completely fell in love with, btw). I mean, what’s better than trying a new lipstick? I signed up with Influenster (a website where you are sent free products to review) a few weeks ago and was sent my first box, the Bella VoxBox! I received some amazing products, and some not so amazing products. The first product I reviewed was the Dove Chocolate covered blueberries, which you can find the review on my instagram. I also reviewed the Sally Hansen Airbrush Legs (see previous post for review). 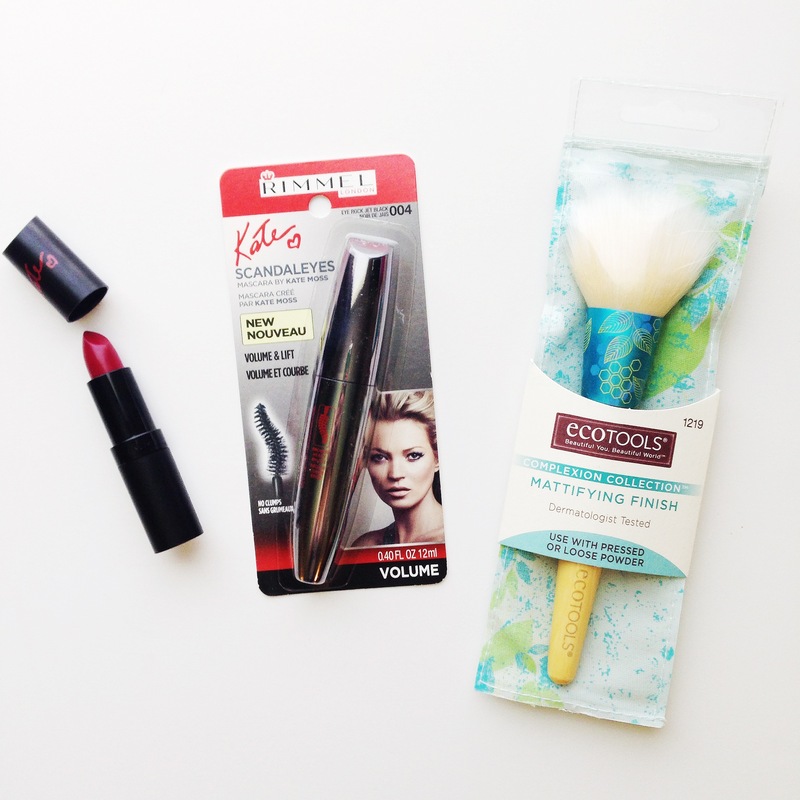 Now I’m going to review the makeup products in the Bella VoxBox! The first product I’m going review is the Rimmel London Lasting Finish Lipstick by Kate (I’m wearing it in the first picture). 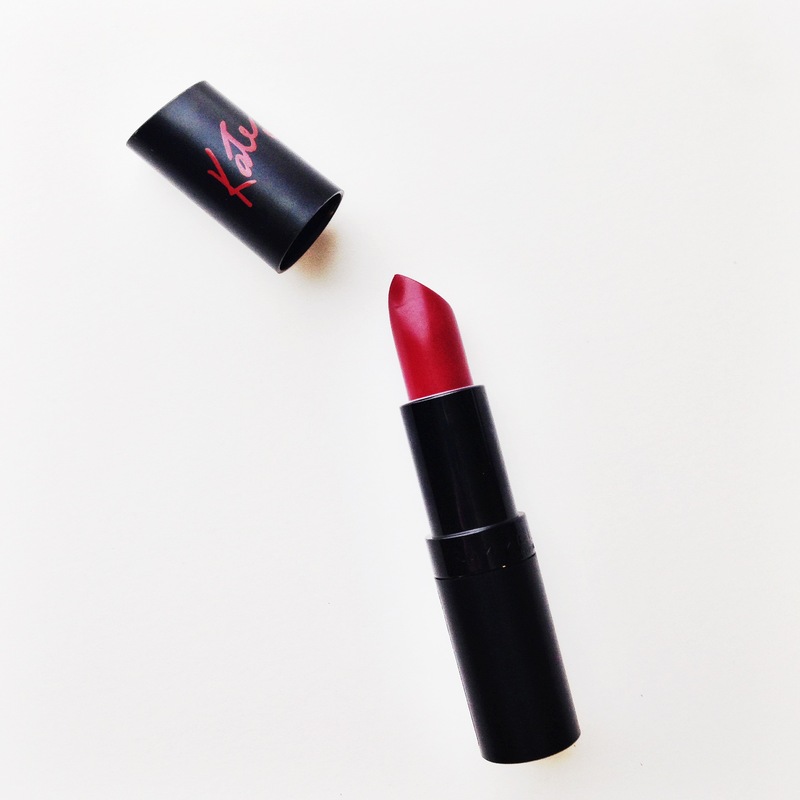 When first opening the lipstick, I noticed that it had a nice smell, it smelled kind of like fruit! To my surprise, this lipstick was not sticky or thick whatsoever. I couldn’t even tell I had anything on. I fell in love with the color once I put it on. The only downfall would be it doesn’t last very long, especially when eating or drinking. But, to me it’s totally worth reapplying and I would buy it again in a heartbeat and try other shades! On to the Rimmel London Scandaleyes Mascara created by Kate Moss. I have to say I was not a fan of this mascara (if you see the first picture, it looks like I’m not really wearing anything)… it did make my eyelashes seem long, but it didn’t give me any volume, it clumped really bad and smeared all over my face. Pieces were also flaking off and sticking to my contacts (was not happy). I will not be buying this product anytime soon. The last makeup product to review is the EcoTools Complexion Collection Mattifying finish brush. The brush was actually really soft. I tried it with my CoverGirl pressed powder, and it didn’t really pick up much of the powder. 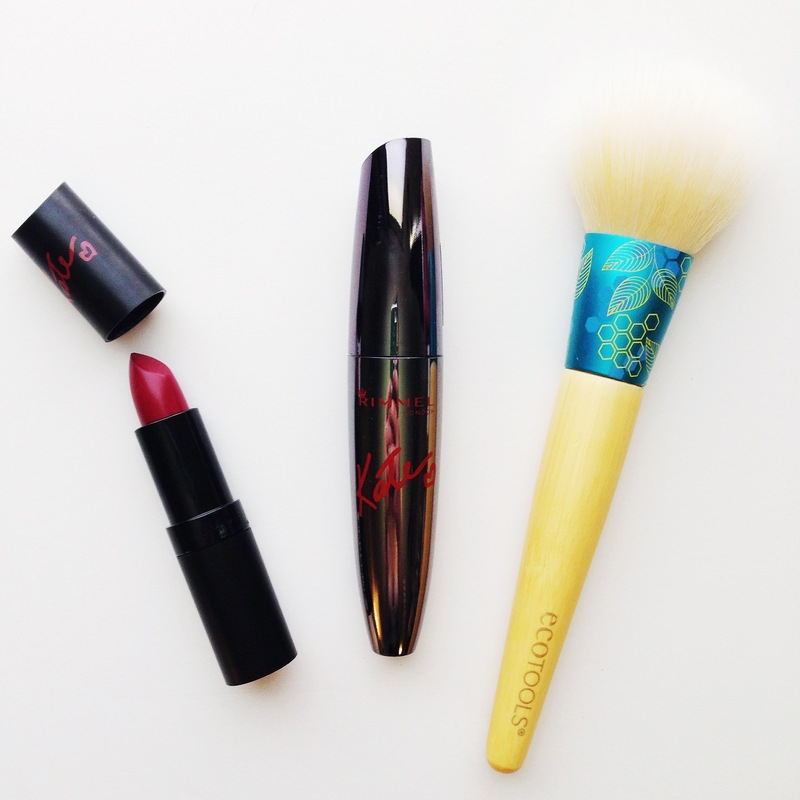 I feel like this brush would do well with loose powder, but I unfortunately do not use loose powder. So all I can really say is I would not recommend this brush if you use pressed powder. 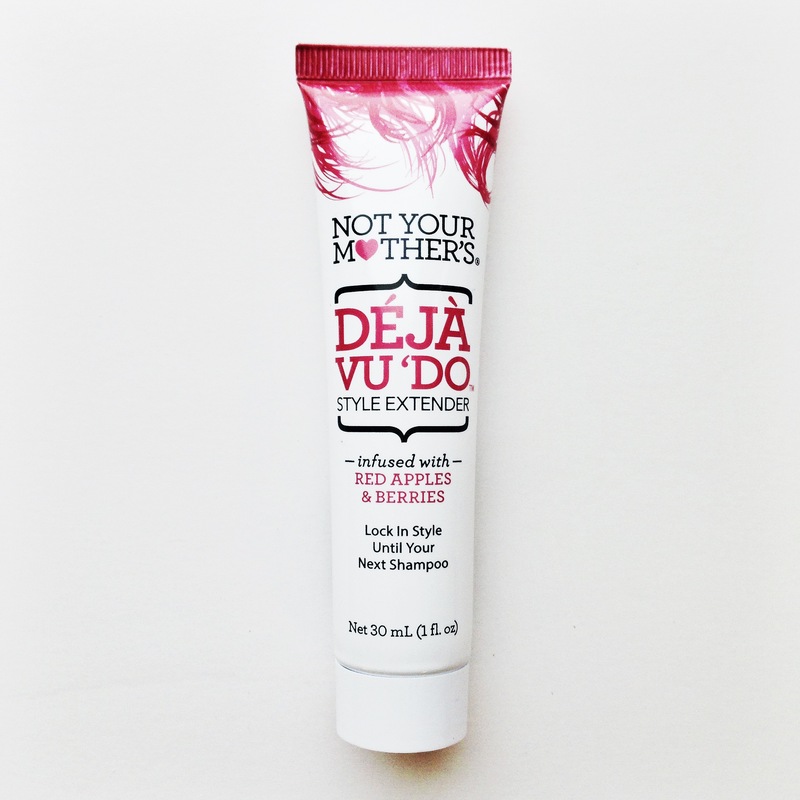 My last Bella VoxBox product to review is the Not Your Mother’s Deja Vu Do Style Extender. I tried this product in my hair (I blow dried and straightened it) before I went to an all day music festival (to really put it to the test). First of all, this product smells AMAZING. It smells exactly like what it says, apples and berries. It did do a little bit to protect against humidity, but my ends still seemed to curl up a bit (St. Louis is so humid in the summer that I honestly don’t think anything would completely help). This product is also supposed to keep you hair from getting oily, which I did notice a little bit of a difference. Usually the next day after straightening my hair, it is super oily. But after using this product my hair was actually somewhat decent looking the next morning (even after getting super sunburned and sweating all day). I would buy this product again and maybe try putting more product on the ends of my hair to test it against humidity again. Sorry for this post being so long! I hope everyone has a great rest of the week, and stayed tuned for other fun posts I have planned this month!